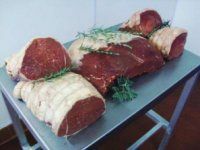 14 day old sheelin larder trimmed silverside and topside, whole or half cuts. 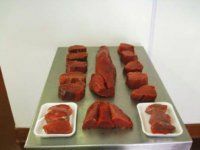 Larder trimmed whole sheelin 6lb+ fillets portion controlled 8oz fillet steaks, fillet tails and fillet medallions. 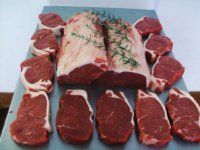 Extra mature 14 day+ larder trimmed 6kg and 7kg strip loins whole or portion controlled steaks. Sheelin beef at its very best. 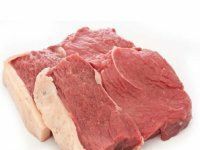 14 day old mature Sheelin rump steaks. 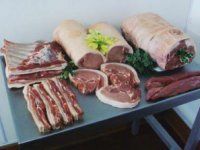 Free range east riding pork and require gilts for the best quality tasting pork. 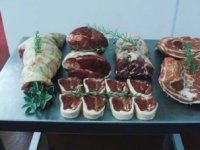 Our home reared British lamb. Shoulders, legs and lamb chops. 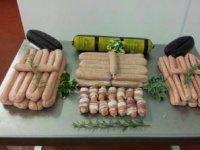 Our local produced English pork sausage.